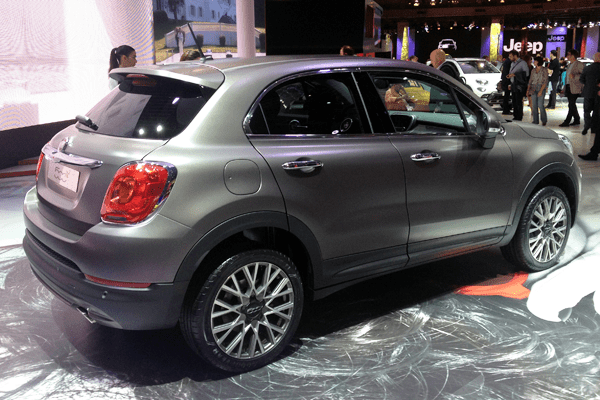 Fiat has taken the covers of its 500X small crossover in Paris. It’s technically identical to its cousin Jeep Renegade, but they are completely different in styling. Whereas the Renegade shows the square and rugged lines of a true Jeep, albeit in a Playmobil size, the 500X is easily recognizable as a member of the Fiat 500-family, with its rounded and huggable looks. Both will compete in the fast-growing small crossover segment, and will stand out from their mostly French competitors thanks to an optional four-wheel drive system, which is expected to make up about 20% of the 500X’s volume. Fiat projects a volume of around 60.000 units in Europe, which would place it in 5th position of the segment. The Renegade will add another 25.000 to that tally. 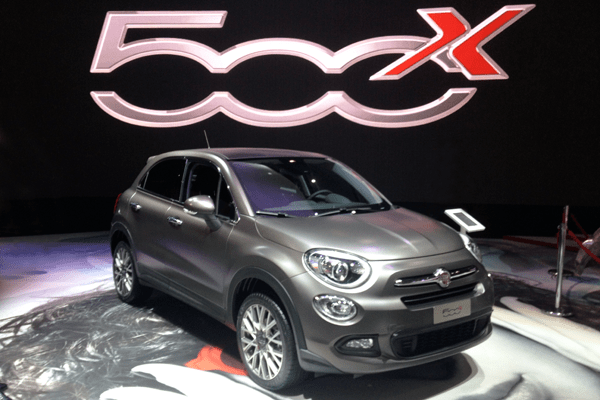 Europe’s most important market for the 500X besides its home market Italy is France, as that’s where small crossovers are the most popular. But the biggest market worldwide will be the USA, which are expected to take about one quarter of 500X sales worldwide. After having already been on display at the Paris Auto Show in 2012, the Ford Mondeo is finally ready to hit the European market. Even though its design is already almost three years old, it still looks fresh and from some bystanders I heard they liked it much better than the new Volkswagen Passat, which has been styled very conservatively. The engine line-up will start with Ford’s already famous 1,0 liter 3-cylinder Ecoboost engine which also powers the Fiesta and Focus. It offers more power and more fuel economy than the 1,6 liter 4-cylinder engine it replaces. This engine should prove especially popular in markets with government subsidies on the most fuel efficient vehicles. 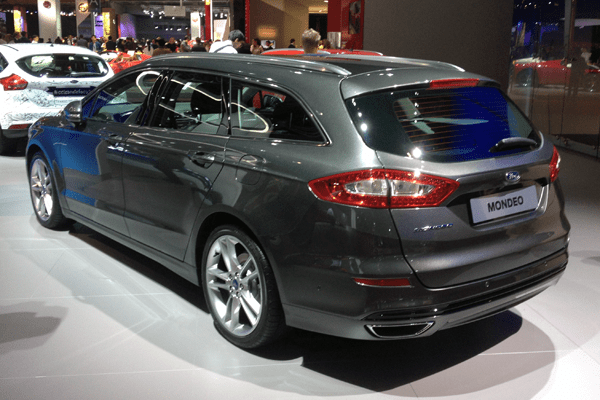 Besides the diesel engines, which will take the bulk of sales, Ford will also offer the Mondeo Hybrid. It will be priced similar to the diesel version, giving buyers who’d rather not drive a diesel an alternative powertrain. A plug-in hybrid version, as offered in the USA as the Fusion Energi, is not planned for Europe, but it’s ready to be launched if demand for such a vehicle justifies bringing it to the market. Ford has not disclosed sales projections, but it won’t be a secret they’re aiming for a number one spot in the midsize segment. But I don’t think the Mondeo will outsell the Passat and I see a potential for 150.000 sales per year in Europe for the Mondeo, the bulk of which will go to the UK and Germany. 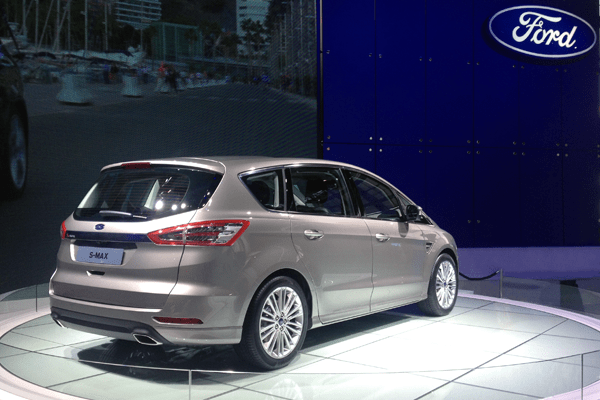 The first generation Ford S-Max was a bit of a revolution in the large MPV market, with its sporty design and dynamic driving characteristics. It has helped Ford become the sales leader in the segment, together with the Galaxy. 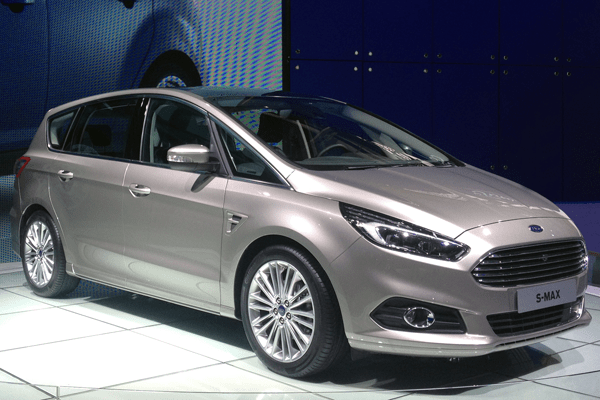 Ford must have thought not to change a winning team, as the new generation is still very recognizable as an S-Max, but especially its front end has been brought more in line with Ford’s family look. The first S-Max peaked at just over 70.000 units in 2007, but the segment as a whole has shrunk considerably since, so I expect the new generation to peak at 40.000 sales in Europe. Its most important markets will be Germany and the UK, which should take at least two thirds of those sales combined. Honda has shown two important new vehicles for the European market, both small cars: the third generation Honda Jazz subcompact and the all-new Honda HR-V small crossover. These two models should give the Japanese brand some long-awaited new vitality in the continent where it’s been struggling for years and market share has halved since 2007 as the brand has been searching for its identity. Honda hopes that a striking design, its reputation for reliability and hybrid versions of both models will get customers back into its showrooms. 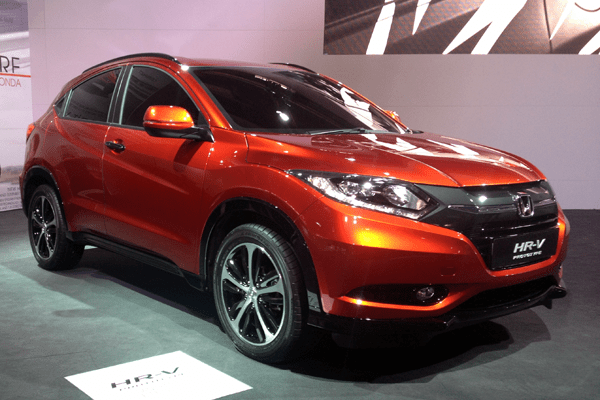 The Jazz should be able to become the brand’s best selling model again at 60.000 units a year, while the HR-V is projected to add another 30.000 to that figure. 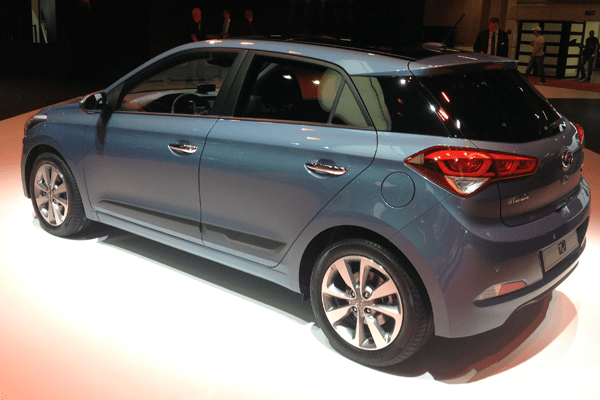 The new generation Hyundai i20 will hit European showrooms later this year. The five-door only model has been developed and designed in Europe and will be produced locally as well, just like the outgoing model, and 90% of all Hyundais sold in this continent. Hyundai says most customers choose their brand because of the design and the 5-year warranty, but I still find the i20’s design not very exciting. Even the rear window that appears to be wrapped around the C-pillar can’t change that. 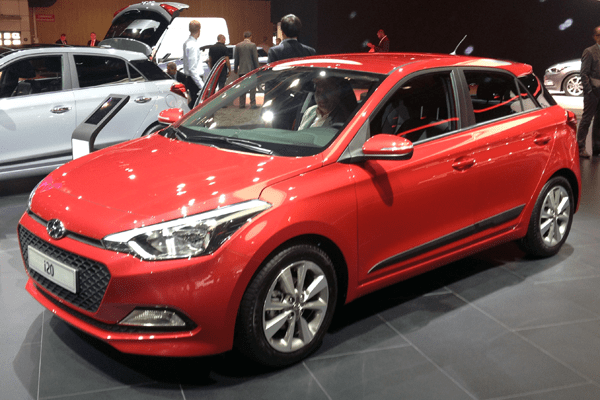 The previous generation i20, introduced in 2009, has blossomed late in its career, peaking in 2013 at 82.000 sales in Europe. And considering that model’s predecessor the Hyundai Getz peaked at 123.000 units, although that was in considerably larger and less crowded market than today, the 100.000 annual European sales Hyundai is projecting for the new i20 somehow seem a bit modest for such a bold and ambitious brand. I’m sure that the Fiat 500X will be a success. It’s truly a world car like the Chevrolet Trackster and unlike the Ford Ecosport. 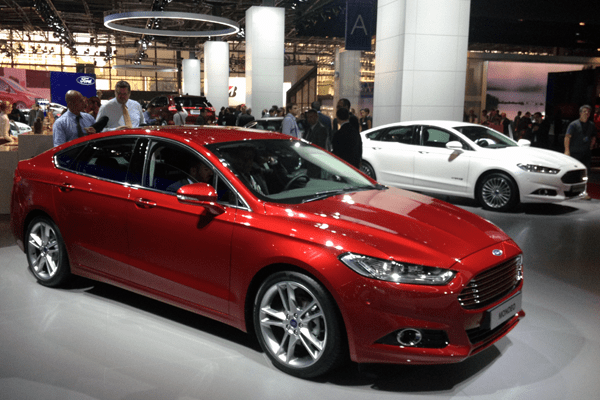 The Mondeo is late but looks too beautiful to be a problem. Anyway, I’m afraid that Ford and Opel don’t have enough status to outsell the real Germans. The Honda Jazz is horrendously styled. 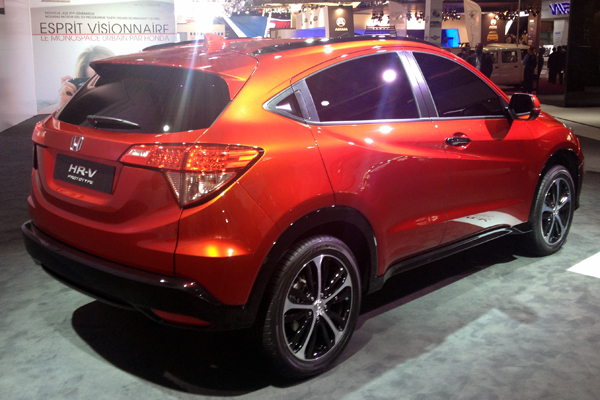 The HR-V is strange but will do fine. Hyundai has dozens of beautiful designs (including the i30 and Santa Fe), but the front end of the new i20 is terrible.